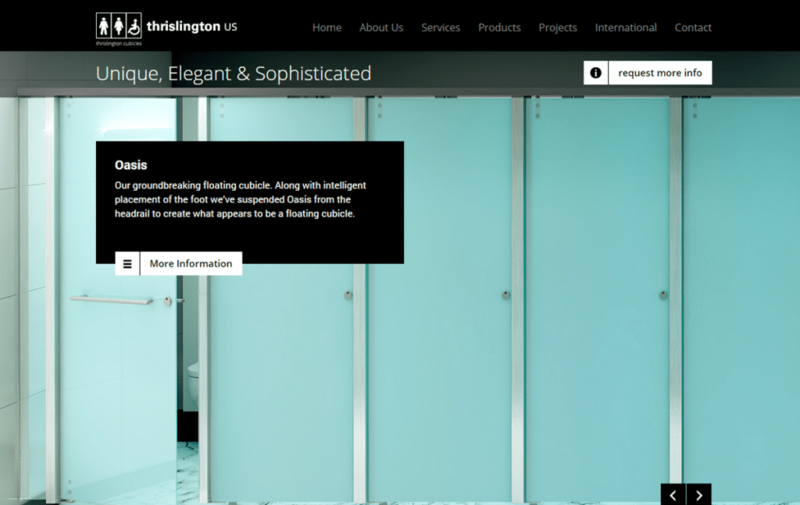 Thrislington is a premier vendor of bathroom cubicles with international services distribution to the UK, Ireland, USA, Hong Kong, UAE and Nigeria. 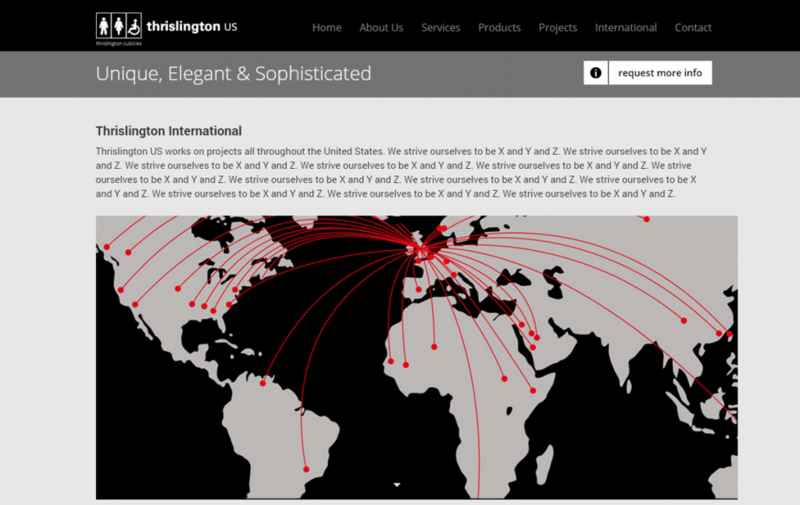 GoingClear was asked to build the Thrislington Cubicles website for sales in the United States. 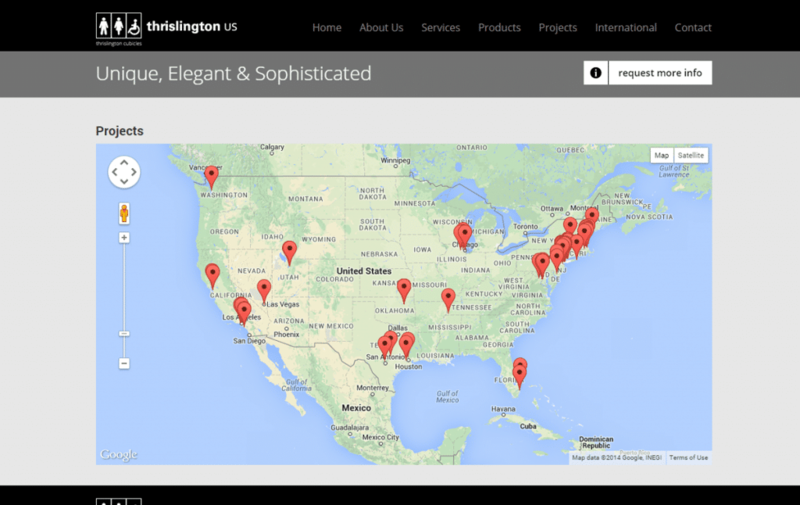 We worked closely with the company to create an entirely new space that is aesthetically very similar to the existing corporate site. GoingClear built a custom horizontal slideshow for the homepage, a custom post-type with geolocation for the Project page map. 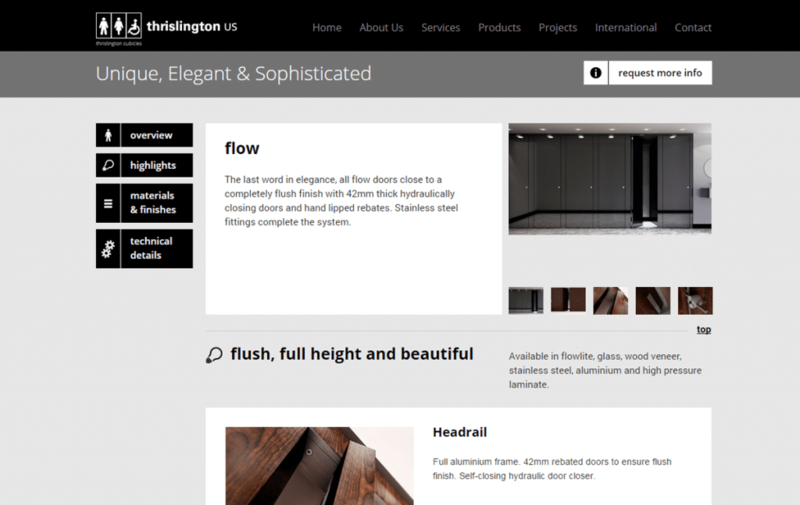 We also developed a mirror Products landing page and a custom back-end that can be easily updated for all of the Products pages. 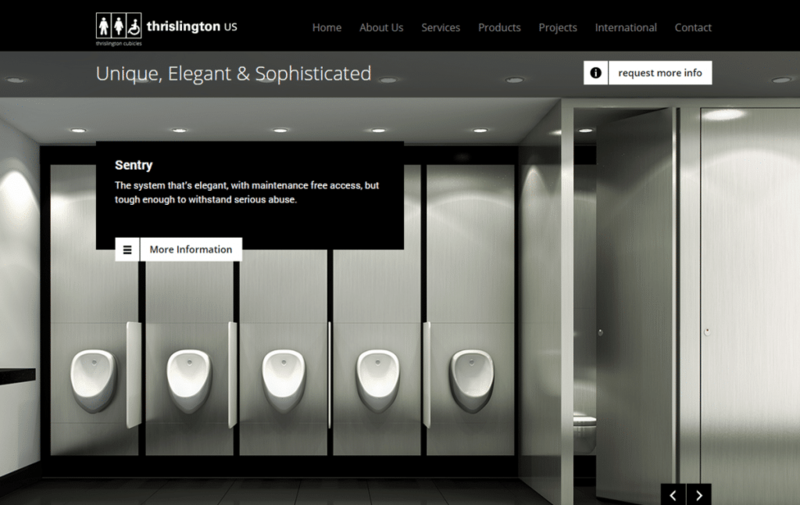 The new Thrislington Cubicles website was built using a Content Management System (CMS), and is Fully Responsive Mobile & Tablet friendly so it will display well on any device.